Cummins Filtration led the industry by developing by-pass filtration in the 1980s. This technology was quickly adopted as standard by many original equipment manufacturers worldwide. 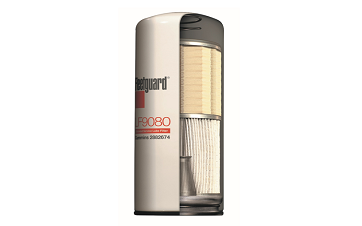 Fleetguard Venturi Combo lube filters, featuring our patented StrataPore® media and stacked-disc design, remove the smallest dirt particles-which cause the most engine damage-and reduces engine wear by more than 60%, in some cases. The Venturi combination takes lube filtration to a new level of performance, offering key benefits that support extended service intervals (ESI) without compromising engine protection. Field testing has proven that the Venturi™ Combo's by-pass-stacked discs remove harmful sludge and allow the lube system to perform more effectively than full-flow only synthetic filters. In fact, the Venturi Combo removes up to three times as many contaminants as full-flow-only synthetic filters. 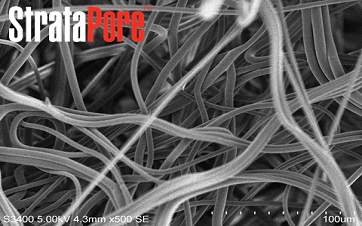 Cellulose media and current gasket materials are not durable enough for extended service use. Low flow restriction is critical to engine protection, especially in cold-start situations. Lube filtration systems must have sludge-removal capabilities for extended service use.